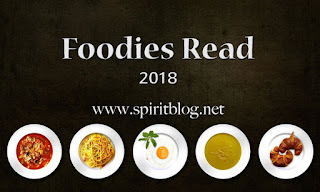 Let’s kick off the New Year with a recipe and a read! I’ve been basking in books all throughout Christmas break – it’s my favorite way to relax! 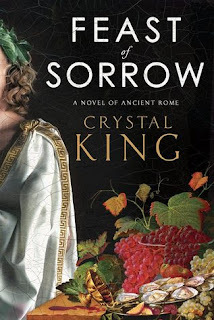 During break, I decided to catch up on the December/January Cook the Books Club pick, Feast of Sorrow: A Novel of Ancient Rome by Crystal King. There was no shortage of foodie inspiration from this novel. The story follows Thrasius, the new coquus (head chef) of Marcus Apicius’ kitchen, the food descriptions frequent and mouthwatering. 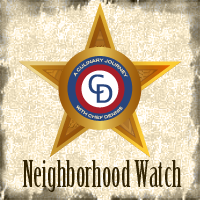 Though devastating at times, I loved the book – the premise hooked me right away and I could hardly put it down once I started! Later, more pastry is added to shape the hams into little pigs! Guys, I love making bread and pastry into other things! I was sold right then and there! Based on the description, I think the recipe is meant to be something like a beef wellington – a chunk of ham wrapped in puff pastry or pie dough. 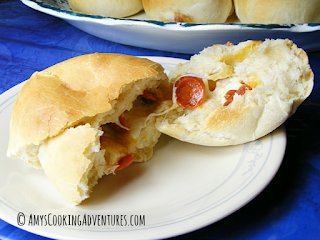 But when I started brainstorming, I went for stuffed yeast bread instead with my favorite bun recipe and reminiscent of the ever-popular pizza stuffed buns. And because I had it around, I added swiss cheese too. Mmmmm….ham & swiss! So delicious! I used deli ham today (I read the book *just* after we finished off the last of my crockpot ham), but chunks of baked ham would also be phenomenal! In the bowl of a stand mixer fitted with the paddle attachment, combine 1 cup flour, yeast, sugar, butter, egg, salt, and water. Mix until smooth. Slowly add in the remaining flour, switching to the dough hook as necessary. Knead with the dough hook for 3-5 minutes or until the dough is smooth and elastic. Remove dough from the bowl and allow it to rest, lightly covered, for 5 minutes. Preheat the oven to 375 degrees F and line baking sheets with parchment of silicone mats. Divide the dough into 2 – 2 ½ ounce pieces. Flatten each piece. 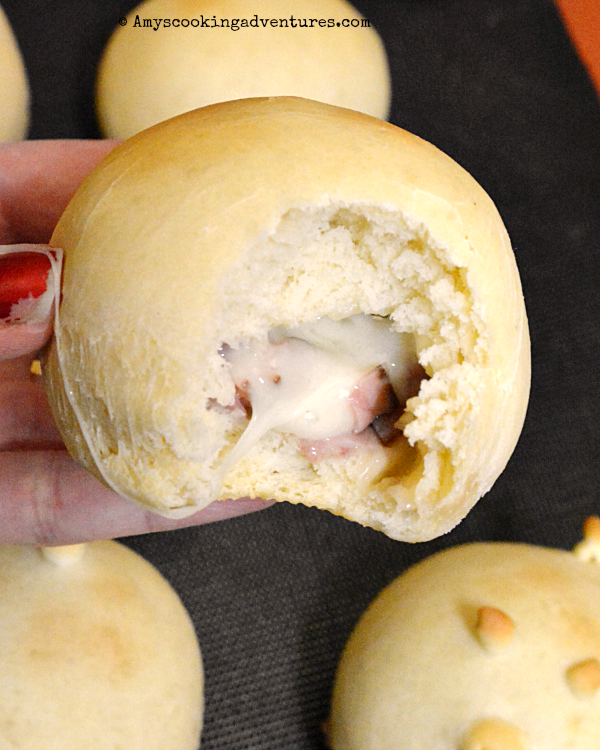 Place a heaping teaspoon of ham and a heaping teaspoon of swiss cheese in the center of each dough piece. Wrap the edges of the dough around the filling and pinch to seal. Place the dough, seam side down, on the prepared baking sheets. 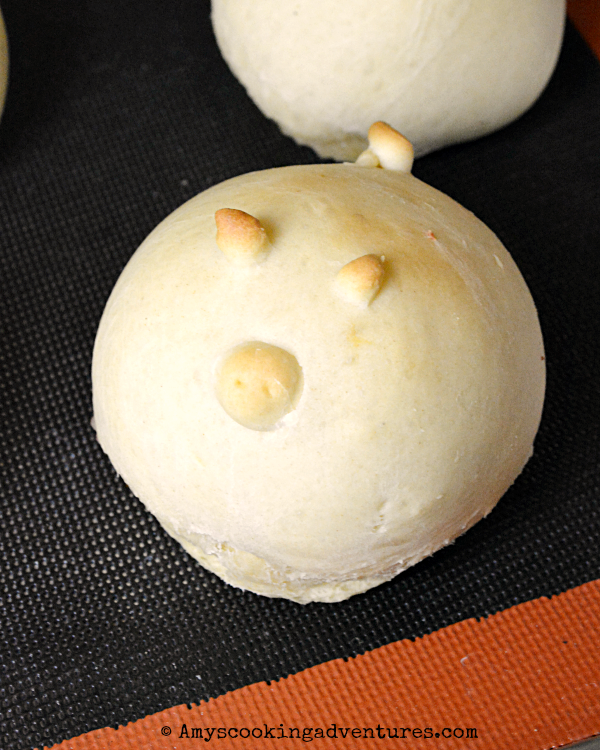 If desired, use dough scraps to create ears, snouts, and tails to create little piglets. Cover loosely with a kitchen towel or plastic wrap and allow the buns to raise for 30 minutes or until light and puffy. Bake in the preheated oven for 15-20 minutes or until lightly browned. Want more? 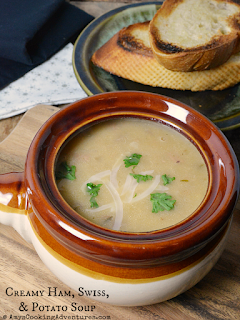 Don’t miss these amazing recipes! In the bowl of a stand mixer fitted with the paddle attachment, combine 1 cup flour, yeast, sugar, butter, egg, salt, and water. Mix until smooth. Slowly add in the remaining flour, switching to the dough hook as necessary. Knead with the dough hook for 3-5 minutes or until the dough is smooth and elastic.Remove dough from the bowl and allow it to rest, lightly covered, for 5 minutes.Preheat the oven to 375 degrees F and line baking sheets with parchment of silicone mats.Divide the dough into 2 – 2 ½ ounce pieces. Flatten each piece. 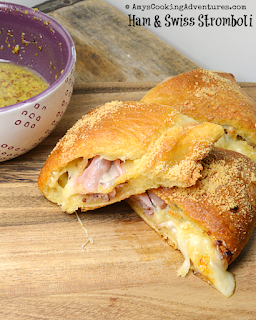 Place a heaping teaspoon of ham and a heaping teaspoon of swiss cheese in the center of each dough piece. Wrap the edges of the dough around the filling and pinch to seal. Place the dough, seam side down, on the prepared baking sheets. 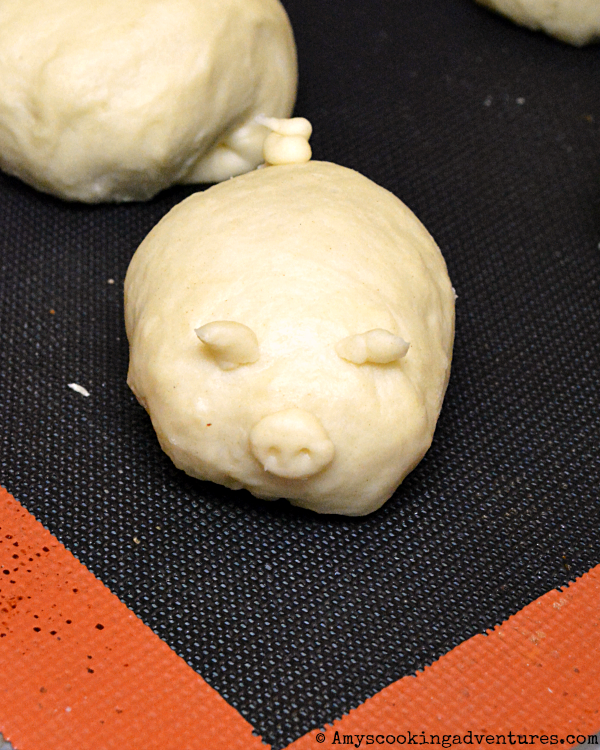 If desired, use dough scraps to create ears, snouts, and tails to create little piglets. Cover loosely with a kitchen towel or plastic wrap and allow the buns to raise for 30 minutes or until light and puffy.Bake in the preheated oven for 15-20 minutes or until lightly browned. Cool slightly before enjoying. Fantastic, Amy. I have had little luck making things out of dough. They all resemble blobs. These piggies look amazing. I thought that a version of this, too. I'm glad you made it!! And I loved the book. Apicata would have loved these little stuffed piglets. 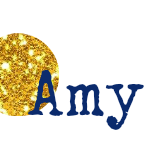 Great job Amy. Simply adorable! You would have made Apicata so happy! Did you see that the author tweeted about these? So cool! They are so cute and look delicious too! These are absolutely adorable! OMG! I love ham and swiss but these piggies make them! How cute! These little piggies buns are adorable! And filled with such yummy filling, too! Your piggies are so cute. I know my kids would flip over them. Those little piggies are adorable! And I love the swiss cheese with the ham. I bet turkey and swiss would be amazing too! Love the little piggies! I bet this would be really great with turkey. These are darling!!! Love the little nose! I love this idea, they are so cute and I bet tasty too!